Here are some updates on IP developments in China from past two weeks. China criticizes US moves on intellectual property 商务部:缺少确凿证据无可信度 China on Thursday criticized recent moves by the U.S. targeting the sale of fake goods and Chinese telecoms equipment, saying Washington lacked “objectivity” in its approach to Chinese businesses. Commerce Ministry spokesman Gao Feng told reporters the U.S. Trade Representative lacked direct conclusive evidence and supporting data in listing three Chinese online commerce platforms and six physical bazaars within China as “notorious markets” engaging in commercial-scale copyright piracy and trademark counterfeiting. Meanwhile, Alibaba Group recently released a series of initiatives to strengthen its intellectual property rights protection. The event happened days after Taobao was put listed as notorious market. The ecommerce giant intends to gather as much information as they can and use the expertise of both brands and rights holder to create a much stronger database. It should effectively improve the algorithm that Alibaba uses to counteract the fakes and even gather evidence for offline investigations. Moreover, Preempting the 2017 USTR report’s publication by one day, the company has released the 2017 Alibaba Intellectual Property Protection Annual Report (in Chinese). Google announces patent agreement with Tencent amid China push Alphabet Inc’s Google has agreed to a patent licensing deal with Tencent Holdings Ltd as it looks for ways to expand in China where many of its products, such as app store, search engine and email service, are blocked by regulators. The agreement with the Chinese social media and gaming firm Tencent covers a broad range of products and paves the way for collaboration on technology in the future, Google said on Friday, without disclosing any financial terms of the deal. Additional articles are available here and here. China Publishes More Scientific Articles Than the U.S. For the first time, China has overtaken the United States in terms of the total number of science publications, according to statistics compiled by the US National Science Foundation (NSF). According to the report, China published more than 426,000 studies in 2016, or 18.6% of the total documented in Elsevier’s Scopus database. That compares with nearly 409,000 by the United States. India surpassed Japan, and the rest of the developing world continued its upward trend. SIPO Released Statistics Data on Major Work for 2017国家知识产权局公布2017年主要工作统计数据 SIPO recently released detailed breakdown of statistics on its work for 2017. Government data show that the number of annual applications for invention patents filed in the country topped 1.38 million in 2017, a 14.2 percent rise on the previous year. Beijing, Shanghai and Jiangsu are the top 3 provinces for number of patents per 10,000 people. State Grid Corporation of China, Huawei, and Sinopec are top companies with most patents granted. China’s trademark applications hit record high in 2017 China’s trademark applications exceeded 5.7 million last year, up 55.7 percent year on year, both setting record highs. At the end of 2017, China had 14.92 million qualified registered trademarks, the most of any country worldwide. “Jianwang [Swordnet] 2017” closed 2554 Pirated Websites“剑网2017”关闭侵权盗版网站2554个National Copyright Administration, State Internet Information Office, MIIT and Ministry of Public Security jointly held a conference on “Jianwang” special campaign recently. Since this special act being implemented in July 2017, 63,000 websites have been investigated and 2554 infringing websites have been closed. According to officer from National Copyright Administration, this special act had a focus on videos, news, mobile Internet applications (APP) and e-commerce platform. China Will Take the Lead in Promoting IP Protection Mechanism in Pilot Area我国将在全面创新改革试验区域推进知识产权保护改革率先突破 NDRC recently issued a notice to promote reform on IP protection mechanism in eight pilot areas, including Jing Jin Ji, Shanghai, Guangdong, Anhui, Sichuan, Wuhan, Xi’an, Shenyang. The government intends to promote integrated management of IP rights, explore new mechanism of IP protection, and establish a new mechanism to link administrative and criminal enforcement. U.S.-China IP Scholar Dialogue was Held中美知识产权学者对话举行 The Fourth U.S.-China IP Scholar Dialogue was held in Shanghai, China from January 17 to 18. Intellectual property is a key issue in the development of U.S.-China economic and trade relations. To increase cooperation and understanding, IP experts from both countries created this dialogue mechanism since 2013. This year’s dialogue emphasized on AI, biomedical innovation, technology licensing, trade secret law reform, IP judiciary protection and dispute settlement mechanism. US Commerce Secretary Ross says Beijing’s technology strategy is a “direct threat”; China demurs. US trade authorities are investigating whether there is a case for taking action over China’s infringements of intellectual property, Commerce Secretary Wilbur Ross said. China responds that it did not expect more trade disputes. China Customs reports seizing infringing goods worth 552 mln yuan in past three years. China has seized infringing goods worth 552 million yuan (86.06 million U.S. dollars) in the past three years driven by a special act called “Qingfeng” (“Clear Breeze”), according to the General Administration of Customs of China (GACC). The three-year crackdown on intellectual property rights infringement discovered about 120 million infringing items, according to the General Administration of Customs. Compare prior discussion on previous reports of GACC hereand here. Beijing to set up IPR center to better serve high-tech firms. Beijing will establish a center this year dedicated to providing services to high-tech companies on intellectual property rights (IPR), officials said. The center will offer fast-track services for patent applications to companies in information technology and high-end equipment production, two areas with the highest demand. This is part of an existing SIPO effort to fast track areas of concern to industrial development. Compare, however, article 27 of TRIPS Agreement – patents shall be available and patent rights enjoyable without discrimination as to the place of invention, the field of technology and whether products are imported or locally produced. SIPO released a directory of industries that need IP support. SIPO recently released the 2018 Intellectual Property Supporting Industries Directory (知识产权重点支持产业目录（2018年本）), which identified 10 industries where IP will be key. The government asked for efficient allocation of IP resources within these industries to promote industrial restructuring and upgrading. China’s Sinovel Convicted in U.S. of Stealing Trade Secrets. A Chinese wind turbine maker, Sinovel Wind Group Co. was found guilty of orchestrating the theft in a rare trial in Wisconsin that continues to raises doubts over China’s commitment to fighting infringement of intellectual property and corporate espionage. The case is U.S. v. Sinovel Wind Group Co. Ltd., 13-cr-00084, U.S. District Court, Western District of Wisconsin (Madison). The conviction was against Sinovel Wind Group. Previously a former employee of the victim had been found guilty of theft of trade secrets in a criminal case in Austria. In addition, there are in total five civil cases in China between Sinovel and AMSC, with one closed and four pending. AMSC filed one separate trade secret case in China plus two copyright cases and an arbitration. Five New Guiding Cases (English translation available). Of the five newly released GCs, four are administrative cases and one centers on a dispute over the infringement of rights related to a new plant variety (Case No. 92). English translation of those guiding cases are made available by the China Guiding Case Project of Stanford Law School. More information about previous guiding cases available here and here. We hope to be providing more updates in the year ahead from UC Berkeley. As usual, the information herein does not necessarily represent the opinion of any government agency, company, individual or the University of California. In a development that speaks to both recent developments that seek to drive more value for the content industries in China, as well the vitality of the Shanghai Free Trade Zone as an experimental pilot, the Ministry of Culture has lifted the ban of video game consoles in China. The ban had previously been lifted in the Shanghai Free Trade Zone in early 2014. The Ministry of Culture on Tuesday lifted the ban on video games and consoles effective retroactively as of June 30, 2015. In its announcement, (文化部关于允许内外资企业从事游戏游艺设备生产和销售的通知) (Notice of Ministry of Culture Permitting Domestic and Foreign Enterprises Participating in Video Game Entertainment Equipment Production and Sales) as well as the related notice accompanying the announcement (游戏游艺设备内容审核管理办法)(dated June 24, 2015) (Rule for Managing Approval of Content for Video Game Entertainment Equipment), the Ministry noted that it will encourage “healthy” video games, with national characteristics, including “use of indigenous intellectual property.” (具有自主知识产权). Self-censorship and reporting mechanisms are to be established by game developers and manufacturers. Requests to lift the video game console ban had long been a staple of requests made to USTR by console manufacturers and game developers, as well as the International Intellectual Property Alliance. How much will the removal of the ban stimulate the legitimate industry? This appears to be one of several efforts to bring more value and protection to copyrighted content in China. Among those recent developments are the market opening efforts announced in the recent Strategic and Economic Dialogue on marketing of flat-fee (non-revenue sharing) films in China, the availability of copyright protection for sports broadcasts, the grant of a preliminary injunction involving a US video game product, and recent licensing deals for music and sports broadcasts. In the present case the Internet company Sina raised an issue involving the presentation of broadcast screens (pictures) and their status as works under the copyright law. In accordance with the law, protected works must be original intellectual achievements that can be replicated in some tangible form. The key factor for this court in determining whether the broadcast of a live competition was original is the broadcast screen. Originality means independently created, which is to say that it does not imitate the work of others or is a copy. In this regard, although there is no provision on legal standards of originality, but it should be understood that the choice of lens for recording events, editing, a new screen for viewing the picture, is undoubtedly a creative work, and the creation of different options and different productions, will produce a different picture of the effect that precisely reflects its originality. The formation of the picture of the sporting event constitute originality under the Copyright Law of China and should be recognized as a work. From the perspective of this case, the picture screens presented satisfy the requirements of originality not only in their filming and production, but also in the auditory and visual style which thereby gives a final result of audio and visual sensations, thereby constituting a work. The case may be appealed to the Beijing IP Court. Damages of 500,000 RMB were assessed, plus costs and an injunction. Update from August 6, 2015: here’s the case in English language translation. Update from March 11, 2016: Here’s a link to an article on a proposal by an official from Le TV to the NPC and CPCC on protecting copyright in sports broadcasts. The focus of the proposal is to strengthen sports competition intellectual property protection and promote the healthy development of China’s sports industries (“加强体育赛事知识产权保护 促进我国体育产业健康发展”). The first element of the proposal is to adopt the international standard of using copyright law to protect sports broadcasts as a “work”, which the author notes is available under US copyright law and has been recognized by nearly all European countries, according to a study from the University of Amsterdam (See Section 1.4.1). How creative is the professional sports broadcast to merit copyright protection. The video below from an NFL game gives some indication of what is involved. (updated September 1, 2016 with this video). 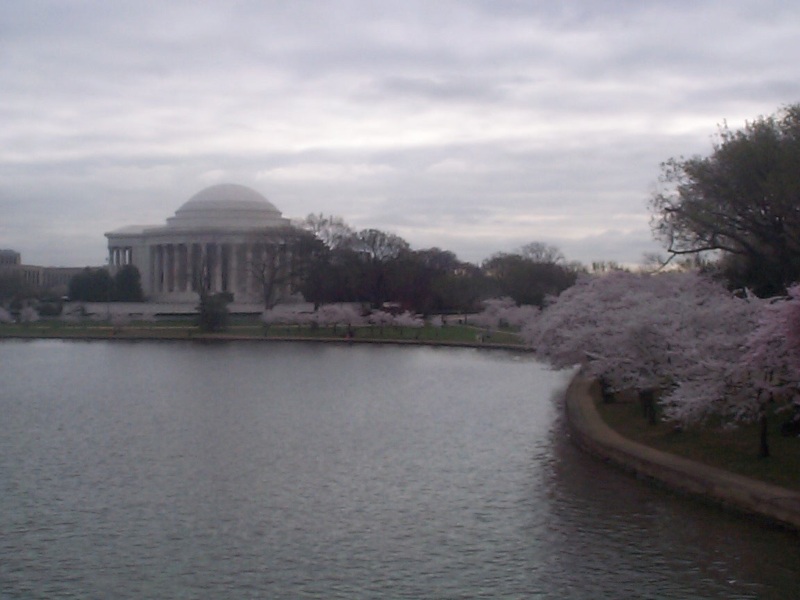 It is almost April, which means it is not only time for cherry blossoms in Washington, but, as we approaching IP Week in China (April 26), — dueling software data. Here’s a digest of how China’s recently released data compares to BSA data. According an article published in SIPO’s newspaper, which reported on a press conference on March 20, New Progress in China’s Promotion of Software Legalization, in 2014, 83% of Central and State organs promote their institutions have completed software legalization; 826,700 were procured, operating systems, Office, antivirus software, with a purchase amount of 461 million RMB. A total of 4,112 firms included in the annual software legalization work; 3,715 enterprises completed software legalization through inspection and acceptance. The most critical datapoint: at the end of December 2014, new computer pre-installed genuine operating system software pre-installed rates continue to move up for 8 consecutive years, to a rate in 2013 at 98.42%. The data from the Busines Software Alliance, released in the June 2014 BSA Global Software Survey, tells a different story. According to BSA, China has an unlinced PC software rate of 74%, with an unlicensed value of $8.767 billion. This reflected a decline from 82 percent in 2007. The commercial value of unlicensed software dropped from 8.702 to 8.767 billion from 2011 to 2013. The good news is that both sides appear to degree that software piracy is declining. The bad news is that the Chinese view the glass as nearly full. BSA views the glass as more than 2/3 empty. There may be any number of reasons for the differences in data, including sampling and analytical differences, but also including the type of software under consideration (package/embedded/cloud-based, commercial/non-commercial, etc. ), and the impact of technological changes on these differences. The migration to smart phone, tablet and cloud platforms and increasing competition may also be affecting package software sales. In an apparently unrelated development, Microsoft announced March 18, 2015, that it is offering Windows 10 upgrades to both licensed and unlicensed users in China. Microsoft said that its plan is to “re-engage” with the hundreds of millions of users of Windows in China. Microsoft is also working with Lenovo Group, to help roll out Windows 10 in China to current Windows users, and it also is offering Windows 10 through security company Qihoo 360 Technology Co and Tencent Holdings Ltd, China’s biggest social networking company. Based on the press release one additional positive outcome of the plan may be that this free upgrade (or, indeed, legalization) is intended to help with adoption of Microsoft’s Windows Mobile platform, which reportedly will provide a universal app platform across a range of devices including Microsoft’s mobile platform. Warner Music and Tencent Enter Into Strategic Partnership: From the Licensing Bubble to Michael Buble? In a move that may be a hopeful harbinger for the future Warner Music Group and Tencent have entered into a “groundbreaking” strategic partnership in China. The companies said a joint announcement that the deal marks the music industry’s “first ever master distribution partnership between a major music company and a leading Internet provider in mainland China.” Warner also recently acquired Gold Typhoon’s catalog, one of the largest and best-known sources of pop and rock music from China, Hong Kong, and Taiwan. The announcement does not discuss how the companies will make money or share revenue, which could pose a problem as the predominant business model depends on free music and advertising revenue. Yahoo Music for China and Google’s music streaming service for the country had previously both shut down in 2012 in China (see: http://techcrunch.com/2014/11/13/warner-music-group-and-tencent/). While improvements in the protection of online copyright are no doubt contributing to the value of content on line, China remains a high-piracy environment. The International Federation of Phonographic Industries estimates music revenue per capita at 0.10 USD per capita, compared to 34.7 USD in Japan (http://www.ifpi.org/China.php) . Tencent will distribute Chinese artists owned by WMG as well as such popular foreign artists in China as Michael Buble. Prof. Eric Priest has described a prior “licensing bubble” from 2009-2012 when advertisers in China insisted that ICP’s develop business models that depend on legitimate content, During this bubble, the market price for online licenses of popular Chinese television series experienced as much as a one hundred and eighty fold increase in just two years. Is additional change imminent? If transactions like these inspire the Chinese government to address the harm caused by piracy-based services and their destructive competitive advantages, a turning point might yet be on the horizon for China’s music industry. Tencent’s ADR’s in the United States rose to a 10 week high on the announcement (http://www.bloomberg.com/news/2014-11-13/tencent-rises-on-china-distribution-deal-with-warner.html).